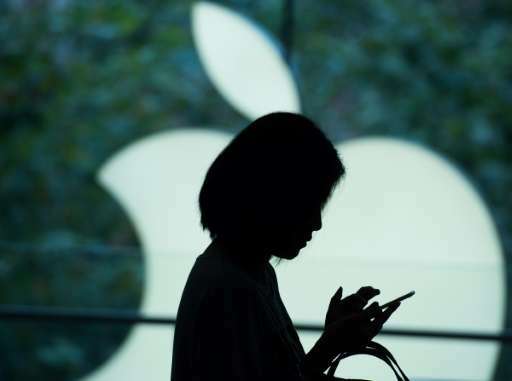 "We have been required to remove some VPN apps in China that do not meet the new regulations," Apple told AFP in a statement Sunday. "These apps remain available in all other markets where they do business." Two major providers, ExpressVPN and Star VPN, said on Saturday that Apple had notified them that their products were no longer being offered in China. Both firms decried the move. "Our preliminary research indicates that all major VPN apps for iOS have been removed," ExpressVPN said in a statement, calling Apple's move "surprising and unfortunate". "We're disappointed in this development, as it represents the most drastic measure the Chinese government has taken to block the use of VPNs to date, and we are troubled to see Apple aiding China's censorship efforts," it added. Star VPN wrote on Twitter: "This is very dangerous precedent which can lead to same moves in countries like UAE etc. where government control access to internet." The company unveiled plans earlier this month to build a data centre in China to store its local iCloud customers' personal details. While China is home to the world's largest number of internet users, a 2015 report by US think tank Freedom House found that the country had the most restrictive online use policies of 65 nations it studied, ranking below Iran and Syria.